Leading colleges, universities, and government agencies in the United States, Canada, the United Kingdom, Ireland, Australia, New Zealand, and South Africa recognize IELTS as fulfilling English competency requirements for ESL students. This new manual with audio CDs presents six full-length IELTS practice exams with answers and explanations. The compact discs provide audio for all six of the tests' listening and reading modules. Test takers can use these exams as solid preparation for the actual IELTS. 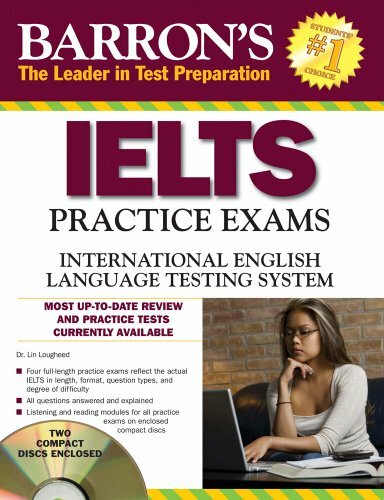 They can also use this book as a supplement to the recently published Barron's IELTS (978-0-7641-9662-1), which contains extensive practice and review for all test sections plus additional practice exams. View More In TOEFL & TOEIC.